Sitting at the intersection of experiential marketing and retail innovation, we help brands navigate the future of retail by turning passive storefronts into meaningful brand outposts for today's consumer. Past whereabouts include Toms, Hunker, Floyd, and Fellow. When I'm not helping brands pop-up, pop-in or pop-out (yes, retail has become awfully sophisticated...), I can be found on the internet or on stage preaching about the future high street and how stores shouldn't look anything like stores. Even though my parents owned a video store years before Blockbuster, I never thought I’d find myself heading up a niche pop-up retail consultancy. Now that I look back, I realize that pop-up experiences were always a draw for me. When I moved to Portland, I started a wandering supper club to meet new people. I basically joined Uber because I was fascinated with pop-up stunts like #UberKittens and #UberIcecream winning over the internet. After a few years of delivering the impossible on demand, I moved over to Uber’s retail team to humanize their 650 driver support centers. The project serendipitously dropped me into retail and I’ve been obsessed ever since. 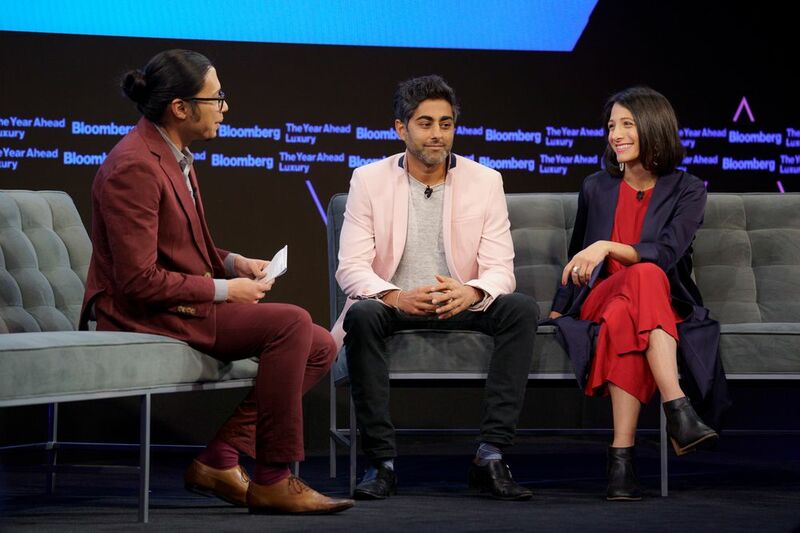 With more and more online brands adding retail to their arsenal, my background in tech and innate passion for experiential are a unique skill set to breathe new life into stores. How do you stand out in your field? If you haven't already guessed it, we're fairly niche. By becoming an expert in experiential retail, I've been able to set myself and our studio apart from other experiential marketing agencies and retail architecture firms. By targeting startups, we've found that we have more risk-averse clients who are open to creating some of the most interesting retail experiences in the world. We are currently working on a year-long retail experience for Hunker magazine (the largest home and design publication in N. America). We just designed, styled and programmed their first IRL space in Venice which features a 3-story loft with branded products they love along with a year-long Residency program for artists and designers. You can read all about it here. You'll find that our store experiences all blur the line between hospitality and retail. We don't just take over an empty storefront, we create a unique destination people want to go. Every detail comes together to bring this to life. Our all-time favorite project was creating a 10-day housewarming pop-up for Floyd, a direct-to-consumer furniture brand based out of Detroit. Rather than creating just another furniture showroom, we staged a full-on "move in" at an experimental micro-community in Echo Park that embodied the spirit of the brand. The modern-day Housewarming featured neighborhood vibes with an opening Block Party and daily home tours for people to learn about the development and explore Floyd's furniture line styled with pieces from 10 other local brands. To encourage people to come back, bring friends and stay awhile, we dialed up the hospitality with a rotating pop-in shop by Poketo, design library and fully stocked pantry featuring daily local favorites. We are currently working on a year-long retail experience for Hunker magazine (the third largest home and design publication in North America). 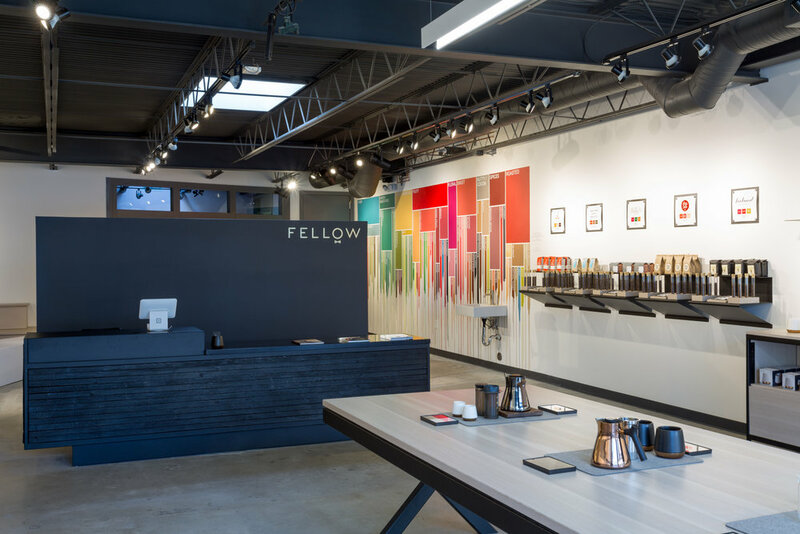 We just designed, styled and programmed their first IRL space in Venice which features a 3-story loft with branded products they love along with a year-long Residency program for artists and designers. You can read all about it here. My very first job out of college was an Account Manager at Wieden & Kennedy. While the agency was a dream, the job was not the right fit. Knowing what I know now, I should've been more patient and trusted my intuition. I've always been a creative at heart and ignoring that impulse even for a year was a mistake. VR integration in Sketch up! We're taking a massive risk this year to better serve our clients with VR and AR capabilities that allow us to literally drop them into spaces before we officially build out. (Think Google Street view for retail design.) While it's a huge undertaking, I know it will be worth it. I'm the most interested in launching unique store formats in LA or NY. If there are online brands that have a budget set aside for a pop-up or flagship store, we'd love to help. Must be open to new ideas. The future store doesn't look like a store. The ideal client is willing to take risks and is open to an iterative, collaborative working process. I am passionate about tearing down the traditional agency/client relationship in favor of being an extension of their teams. Retail is scary, I get it. But with ample trust in one another, we can create pretty spectacular things. Since our projects usually have a lead time of ~3 months, we typically work on flat project fees. Given that we've worked with so many start-ups, we have become fairly good at coming up with solutions that works for all types of budgets. If you have an idea of your production budget, don't hesitate to share it. If we're not the right fit, we can always point you in the right direction. WHO IS A CREATIVE THAT HAS HELPED YOU ELEVATE YOUR WORK? Drew Downie is my partner in crime when it comes to pushing the creative boundary for our clients. His experience working at dozens of start-ups always inspired me to think outside the box and view every creative constraint as an opportunity. Aaron Rayburn is a fellow designer with exquisite taste. While he's now making magic at Google, his positivity and enthusiasm is infectious. The best way to get in touch is via email at Gabriela@whereabout.studio. If you have a crazy pop-up idea or simply want to learn more about the future of retail, the more information you can share in your intro, the better. Attending the anti-retail experience. Since retail is now in direct competition with entertainment... museums, hotels and even Disney World are my greatest sources of inspiration. This member profile was originally published in February 2019.